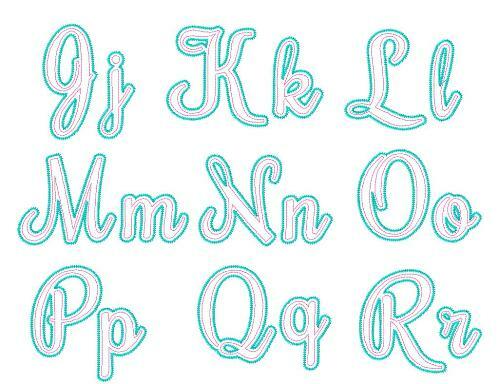 This beautiful script applique font includes 26 Capital letters, 26 lower case letters and 10 numbers. 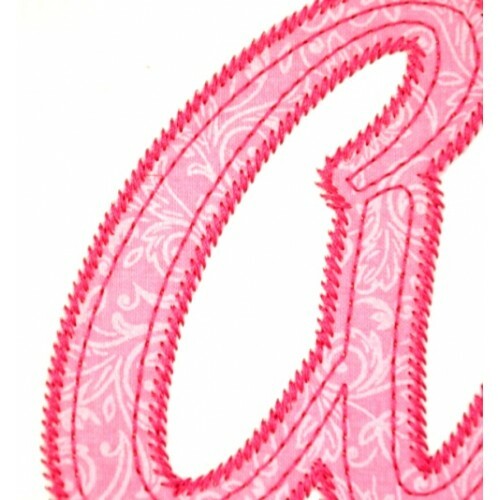 The finishing stitch around the letters is fast and very unique. 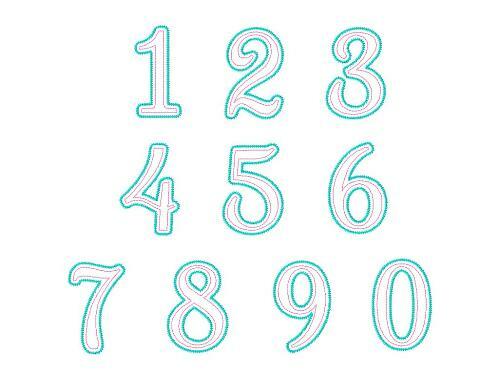 Complete instructions for merging names is included (you must have software to merge letters). 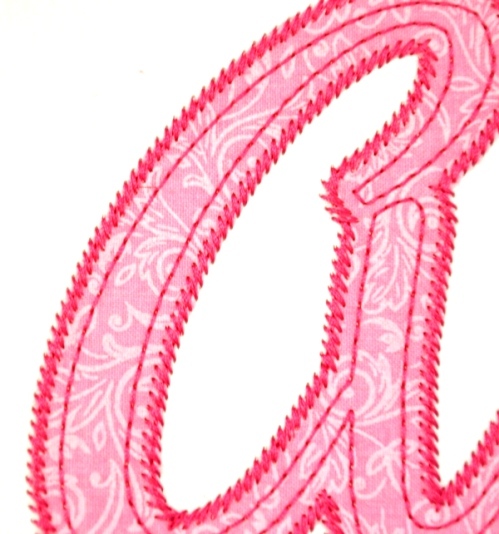 Here's a close up of the unique finishing stitch. 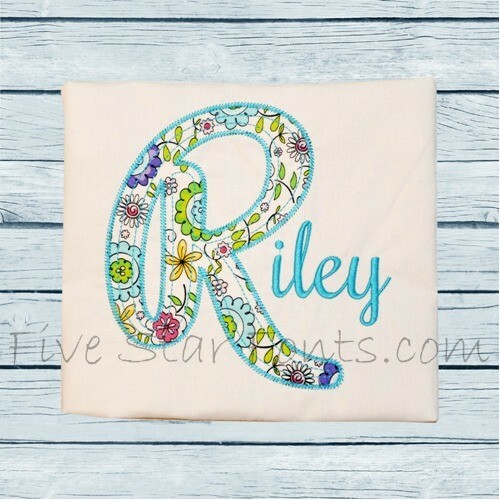 The coordinating embroidery font shown below to finish Riley's name is available on our website. 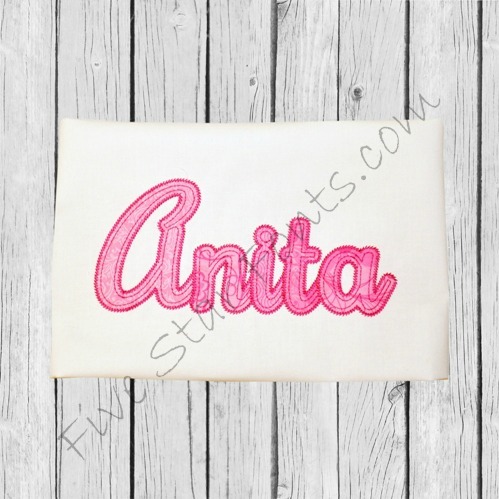 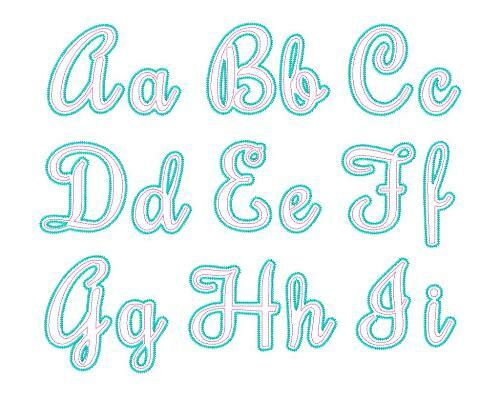 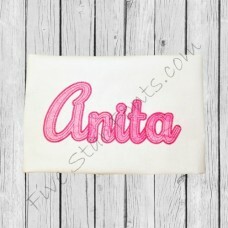 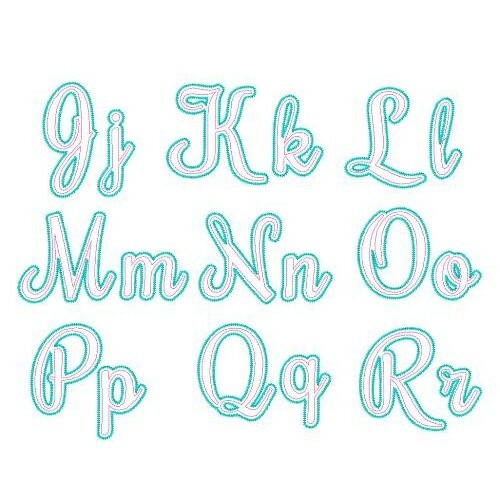 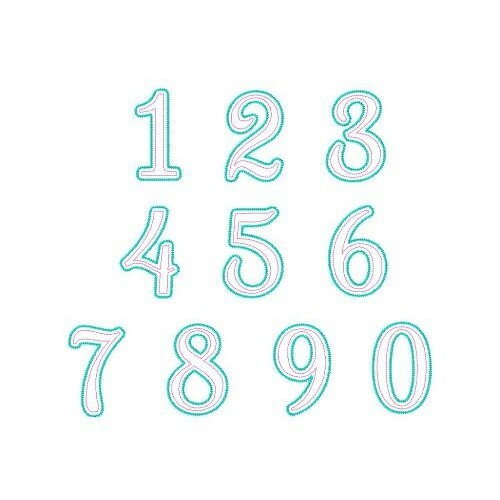 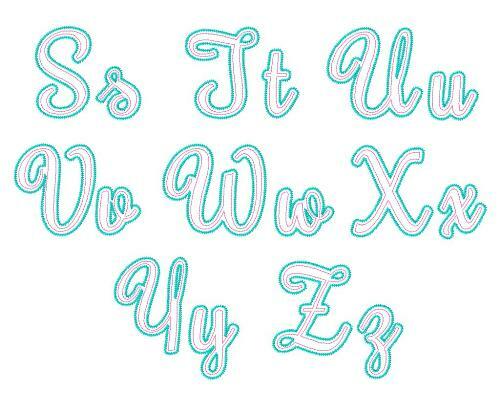 Click 'Related Products" Tab above for the link to this pretty embroidery font.